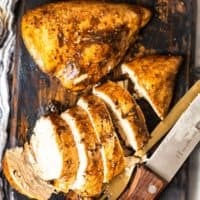 Marinated Baked Lemon Pepper Chicken is one of the BEST ways to cook Baked Chicken! This Lemon Pepper Chicken Recipe is so juicy, tender, and perfect! 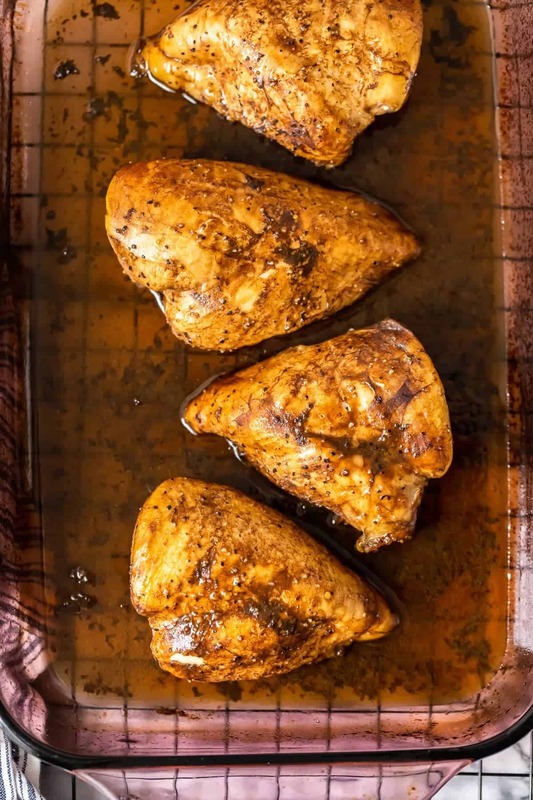 We have all the tips for how to bake chicken, and this special Marinade Recipe can’t be beat! It’s time to say hello Lemon Pepper Chicken Recipe and goodbye boring old dinner recipes! 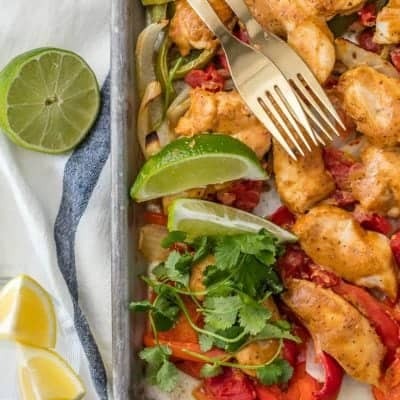 This easy baked chicken recipe is about to spice up your life in the best way possible! 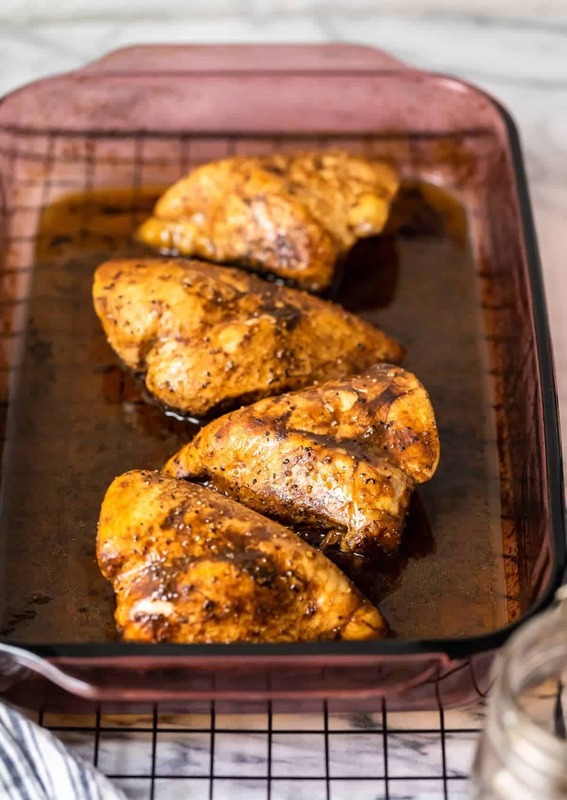 Covered in a drool-worthy homemade Balsamic Lemon Pepper Chicken Marinade, and baked to the perfect temperature in the oven, this recipe is a no brainer for when you’re looking for that perfect meal. A few ingredients and some simple steps are all it takes to have dinner on the table in under 30 minutes. You really won’t believe how easy it is, until you try it for yourself, so let’s get started! Ever wonder how restaurants always have that perfectly juicy and tender chicken? Well, I’m about to spill the beans on a few secrets to getting that restaurant quality baked chicken breast at home. Tenderize the meat: Take a mallet or a meat tenderizer and give the chicken a few wacks. This will level out the meat making it cook evenly, eliminating the risk of some parts cooking faster than others. 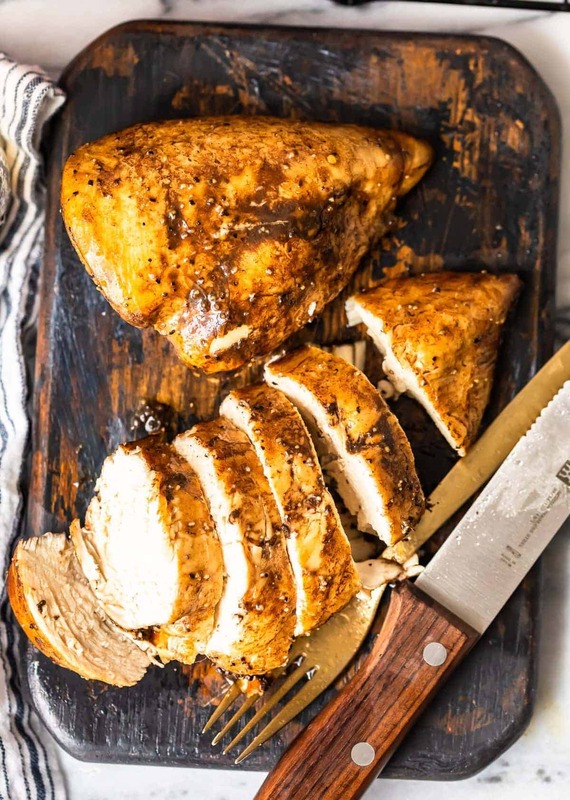 Don’t forget the marinade: The Balsamic Lemon Pepper Chicken Marinade is essential for this recipe! It gives the chicken an intense burst of flavor, you won’t get with just a quick pre-bake seasoning. 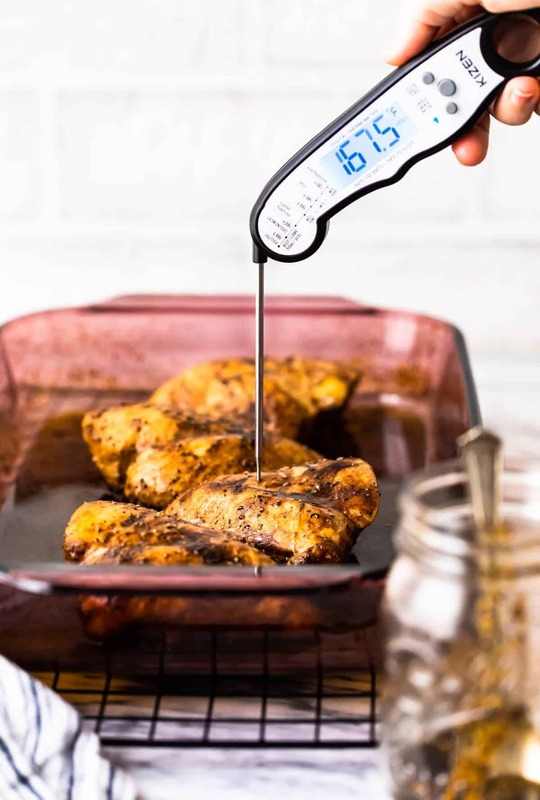 Use a meat thermometer: A lot of ovens aren’t 100% accurate which can lead to under or over baking the chicken. To know you are baking to just the right temperature, I highly suggest a meat thermometer. It really makes all the difference. How Long Does Marinated Chicken Keep? If stored properly in an airtight container or a zip-top bag, any baked chicken can be kept in the refrigerator for up to 4-5 days. Any longer than that and you will start to run the risk of the meat going bad. If you plan to store leftovers in the freezer, the chicken will keep without going bad for up to 9 months. Just make sure the chicken is properly packaged. If you’re not sure how to properly freeze chicken, just out this helpful article on the best way to freeze meat. The perks of having a recipe this simple is that you have so much more time to prepare a bunch of other amazing things to go along with it! 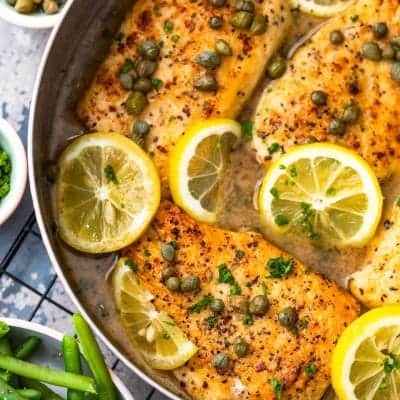 whether you’re just serving up a weeknight meal, or entertaining a few of your closest friends, there’s plenty of ways to make this lemon pepper chicken recipe into a full meal. 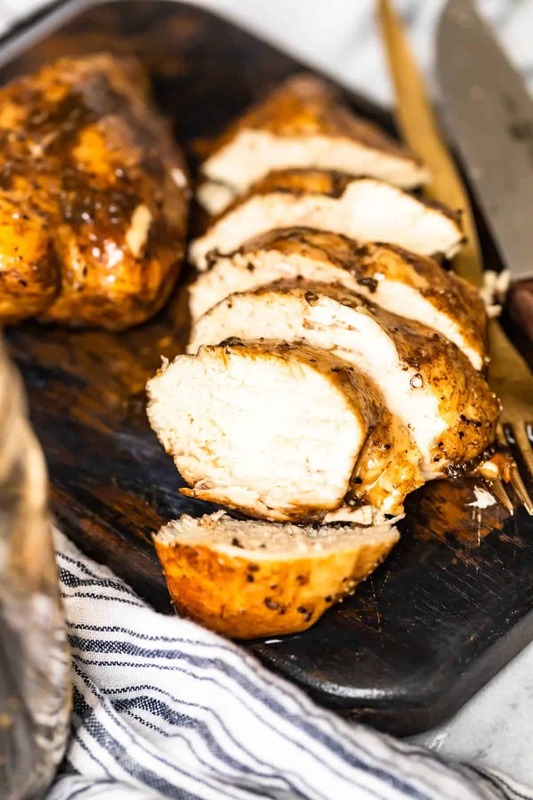 Here’s what I would serve around this baked lemon pepper chicken to make it into a full meal or dinner party spread. This Lemon Pepper Chicken Recipe is Perfect For Meal Prepping! I know, we’re all busy people, so sometimes It’s hard to make a home-cooked meal every single night. I won’t lie, I’ve been known to take the easy route every now and then. That’s why I love to meal prep every so often, to take some of the load off the rest of the week. 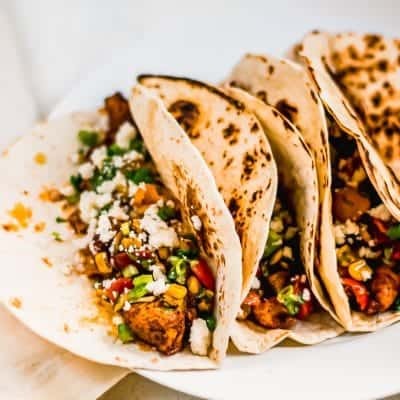 This recipe is perfect for meal prepping because it goes with almost anything! To meal prep, make enough servings to least you 4-5 days, so a single batch for 1 person, or a double batch for 2 people, and so on. Then just separate the prepared chicken into single serving containers. Now you can easily just get home, grab your chicken and add a throw together a few sides and you have dinner in no time. Throw it into your white chili or soup to add a little pizazz to your comfort food. Love This Baked Lemon Pepper Chicken? Then You HAVE TO Check Out These! If you’re obsessed with easy chicken recipes, like I am, then you’ve come to the right place! 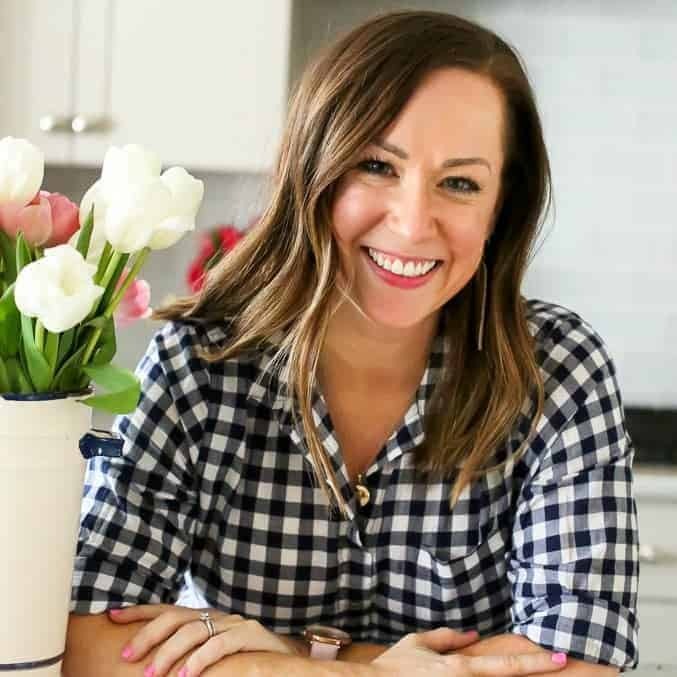 You won’t want to miss out on even more amazingly simple and delicious recipes to add to your weekly dinner menu. Here are the top five that I always have in rotation at my house. A Recipe Everyone Will Beg You For! From the first time you make this lemon pepper chicken, everyone will be obsessed. The simple, yet bold flavors in this recipe will leave everyone wanting more and more. Forget about that boring old takeout tonight and make this instead! Trust me, you’ll be thanking me later. I can’t wait to hear your thought on the recipe. Don’t forget to leave a comment below once you try it out. 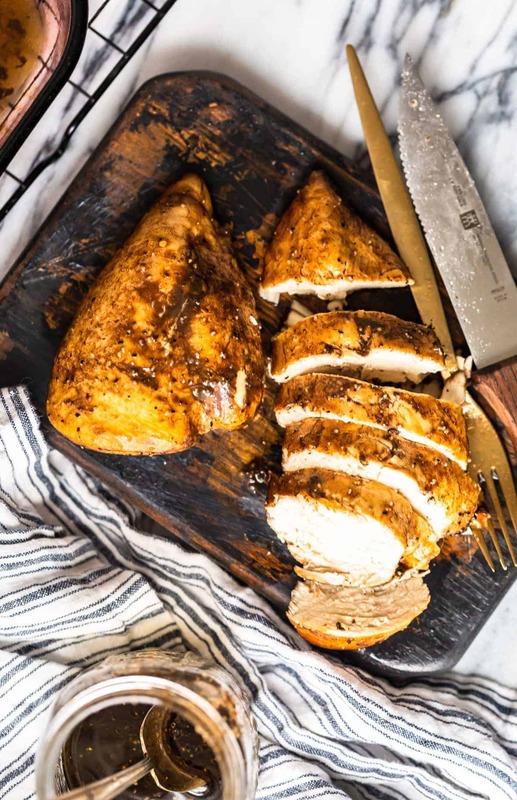 Marinated Baked Lemon Pepper Chicken is one of the BEST ways to cook Baked Chicken! 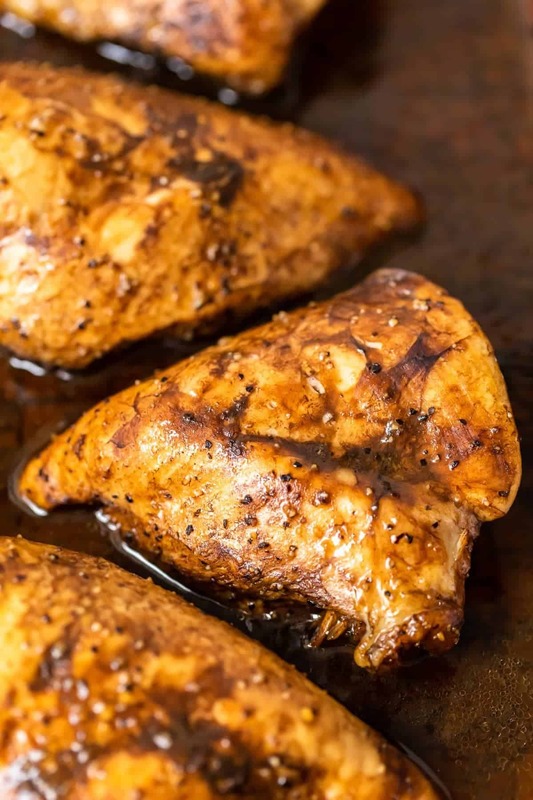 This Lemon Pepper Chicken Recipe is so juicy, tender, and perfect! We have all the tips for how to bake chicken, and this special Marinade Recipe can't be beat! Prepare your marinade according to recipe instructions. Place in a bag and add all four chicken breasts. 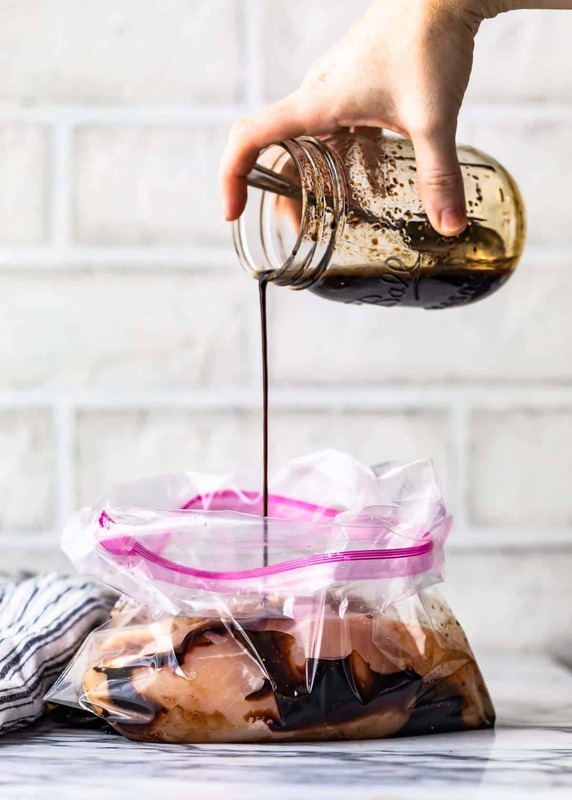 Place in the fridge to marinate for 30-60 minutes. When ready to cook, preheat your oven to 450F. 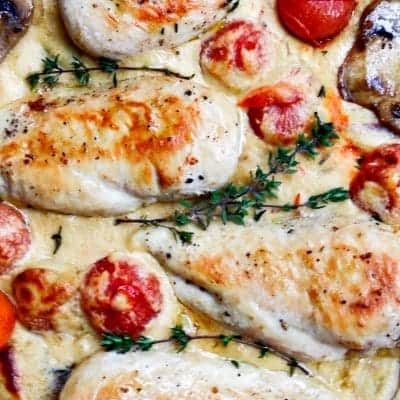 Remove the chicken from the bag and add in a single layer to a 9x13 baking dish. Pour the melted butter over the four chicken breasts. Pour the rest of the marinade from the bag into the dish/over the chicken. Cook for 15-18 minutes or until the chicken is fully cooked/white through and internal temp reaches at least 165F. Remove from the oven and allow to rest in the pan for 10 minutes. Turns out moist and tender every time I use this recipe! Lemon pepper chicken is my all time favorite so you know I had to try this and it did not disappoint! Simple and delicious, love it! The marinade for this is sooo good! My family loves this chicken! This chicken looks incredible! And I love how easy it is! Thanks! Admittedly, I haven’t made this recipe yet, but why the boneless, skinless thing? Bone in chicken is so much juicier and more flavorful and I cannot contemplate chicken without a crispy skin.